The birth of a child is supposed to be a beautiful event, bringing joy to parents, family and friends. The eager anticipation of a new baby entering the family; followed by the unfortunate let down of a birth injury is devastating for anyone. Nobody ever thinks that birth injuries happen, but the reality is that things can go wrong at birth which may result in serious complications and injuries to both baby and mother as well. Sometimes, these complications or injuries are as a result of the negligence of the doctor or health care professional. Birth injuries occur one in out of every eight hundred fifty seven births. 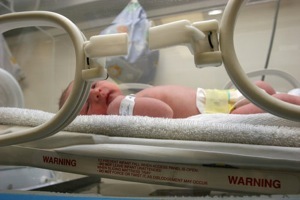 Not all of these birth injuries result in damages, injuries or law suits. But some do. Common birth injuries to baby include brain injury as a result of not enough oxygen getting to the new born; facial paralysis as a result of the use of forceps at birth; Erb’s palsy due to a doctor’s error or negligence at delivery; or even wrongful death due to a variety of other complications at birth. The Toronto birth injury lawyers at Goldfinger Law have been assisting families and their loved ones with birth injury and neo natal claims against doctors, hospitals and other health care professionals for years. These cases require an experienced personal injury lawyer’s touch, particularly given the long term care issues involved for the new born in the serious brain injury cases. Brain injury at birth will require a life time of attendant care, long term care, special educational needs, special living accommodations and may result in a lifetime of attendant care, long term assisted living accommodations, loss of competitive advantage for baby and family. Goldfinger Law knows how to get multi million dollar results in these types of cases. We use a team of obstetric and pediatric network who are leaders in the field to help you along with the progression of your personal injury case. We have a team of registered delivery room nurses at our disposal as well to comment on what ought to have happened which may have made the outcome different. 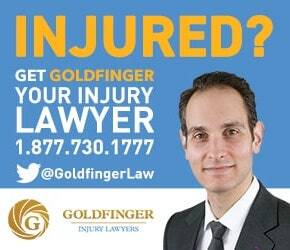 If you or a loved one has fallen victim to a birth injury or neo natal claim, call Goldfinger Law to assist you. We will provide you with a home visit, a hospital visit and a free no obligation consultation so that we can better assess the legal aspects of your case. A skilled lawyer with answers will guide you along with way. We are available twenty four hours a day, seven days a week to answer your questions and we don’t take any legal fees, unless we get you money at the end of your case. 5.0 "Brian has been our Guiding Light"